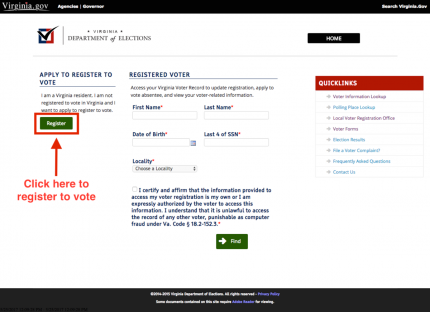 Once your voting rights have been restored YOU STILL NEED TO REGISTER TO VOTE! Online if you have a driver’s license. 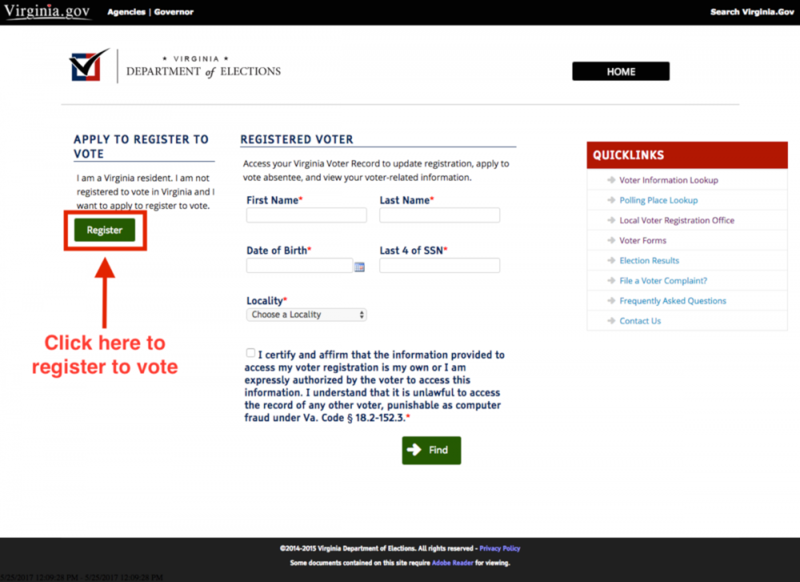 Or, you can register on paper. To register online, click here. 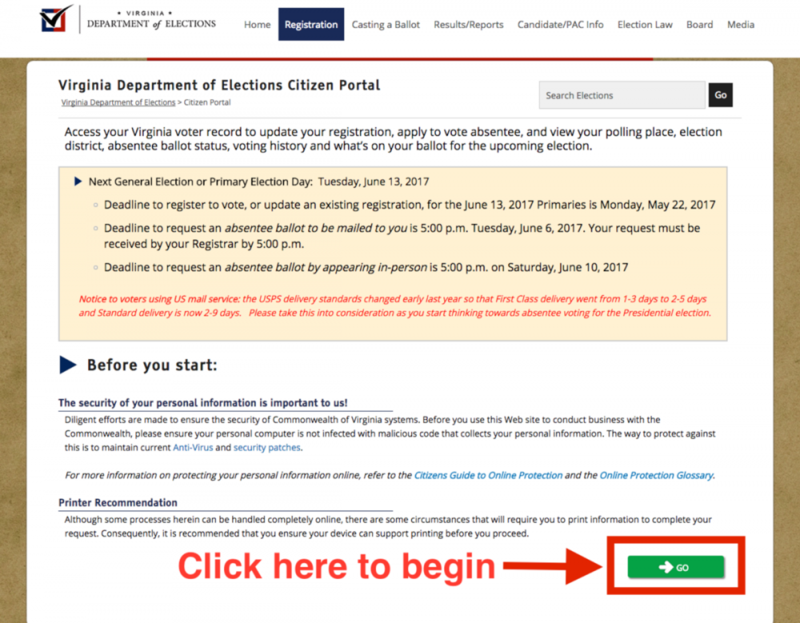 This takes you to the Virginia Department of Elections’ website. Hit the green “Go” at the bottom right to start the process! After you click “go,” a new screen appears. Click on the green “Register” on the left to begin your application. Once you’ve completed this form you have registered to vote! 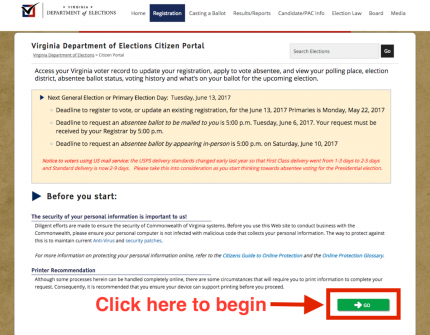 If you do not have a driver’s license, then you will need to register to vote via paper application. This application can be downloaded here. You can also pick up a voter registration form at your local public library, at the Post Office, or at your local voter registrar’s office. If you have questions, contact us at 844-932-8683.